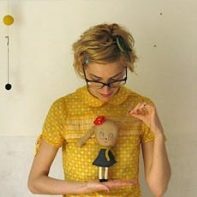 Enjoy this three-minute craft project! 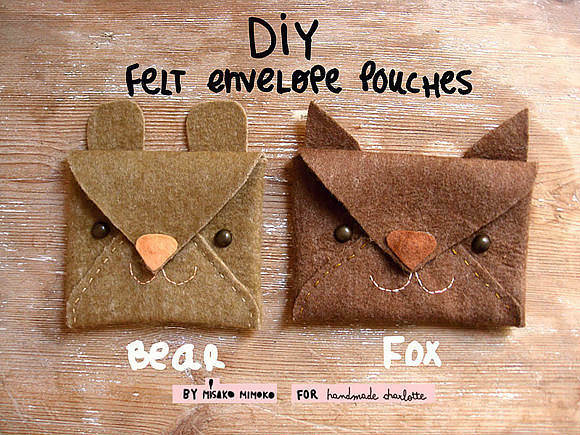 These cute felt animal pouches are so easy to make that you’ll want more than one, for sashing your make up, pencils, and phone. Go ahead and create a bunch of them in different sizes! 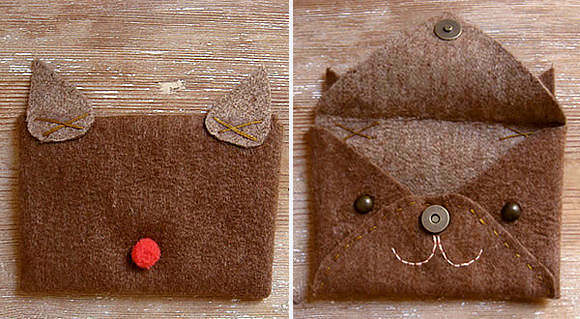 They make lovely envelopes for a secret message or a cute case for a gift! Download and print out the template or unfold a paper envelope and use that as a template. 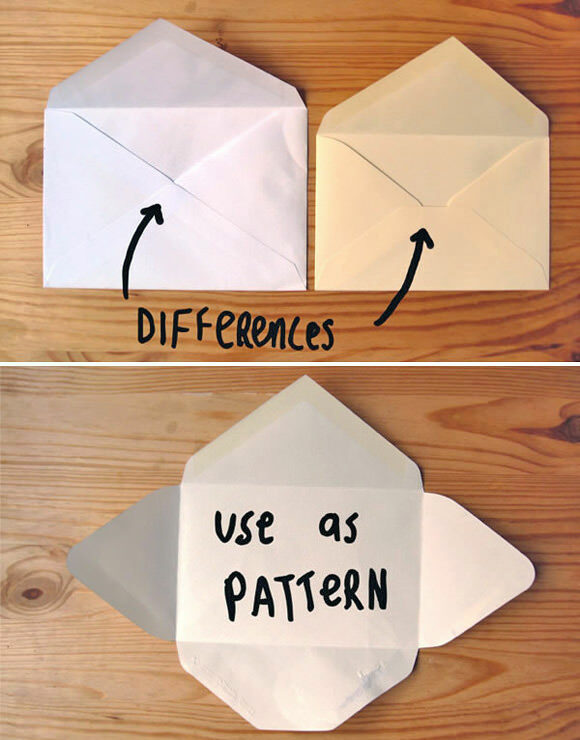 Use bigger or smaller envelopes, depending on what you plan to use your pouch for. My template is made from an envelope that is 5.5 x 3.5 inches (14x9cm). It also includes a snout and ear shapes for a bear and fox. 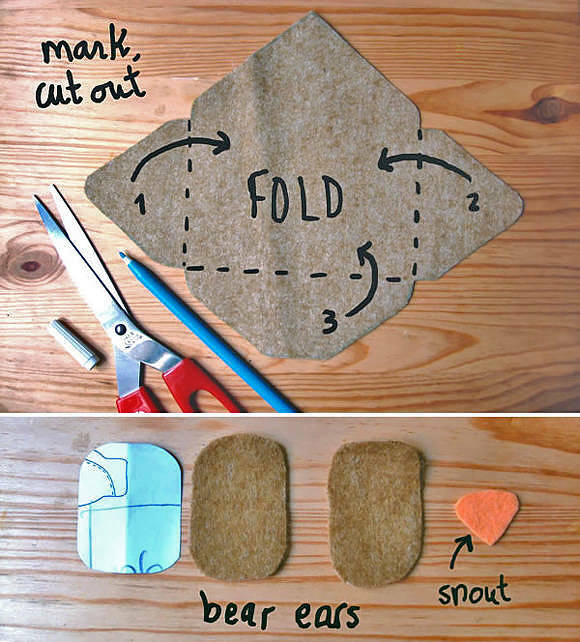 Trace and cut out the envelope shape onto your felt piece. Repeat for the two ears and snout. 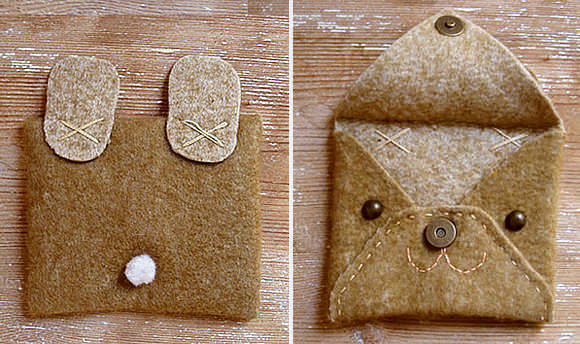 Fold the felt envelope as shown above and pin together the bottom and side flaps. 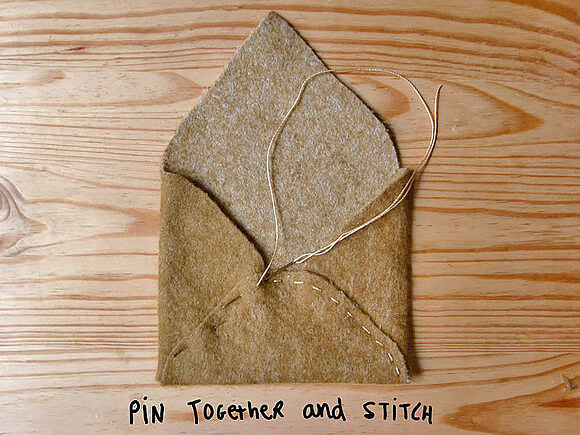 Then stitch them together using a running or a back stitch. 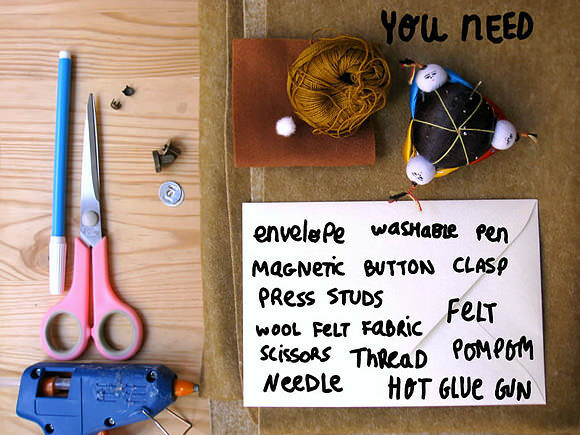 Add a magnetic button clasp or any other closure, such as a simple button or a press button. 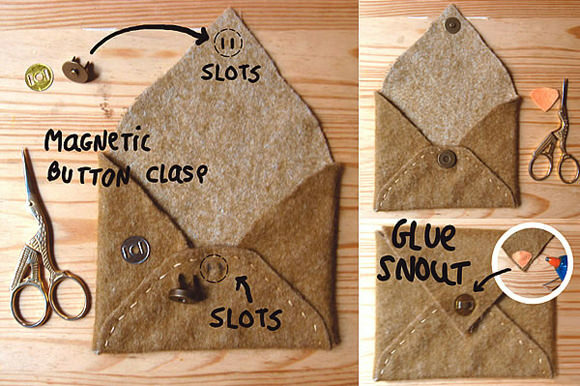 Use a sharp tool to make slots and fit each snap piece in place as shown. Then glue the snout felt piece over the clasp. 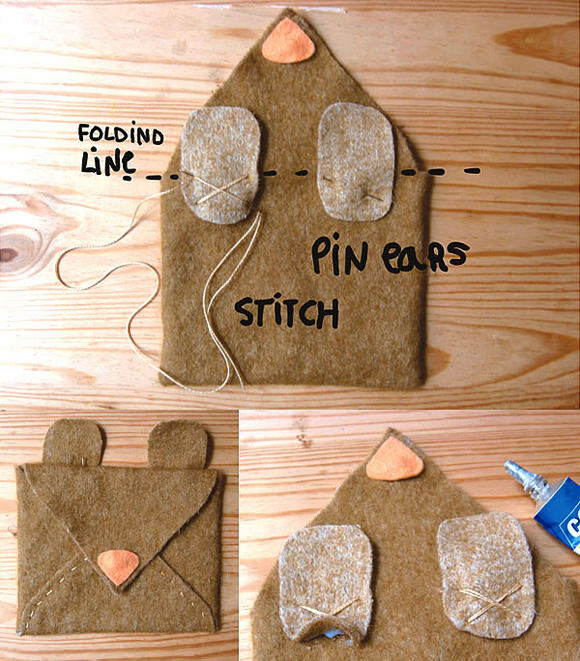 Place, pin, and stitch the ears on the back of the envelope, placing the ears near the top so that they peek out from behind the envelope once it’s closed. Add some glue to keep the edges down (optional). 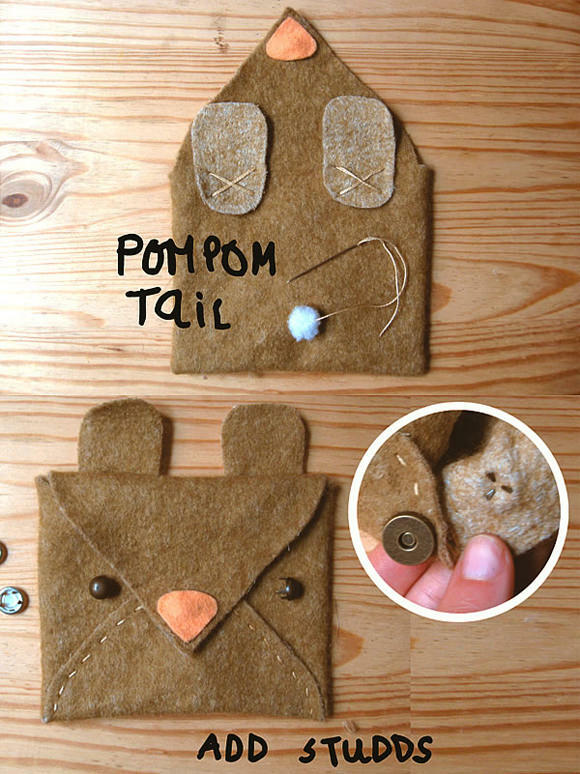 Stitch a pom-pom on the back as a tail. Add studs for the eyes. 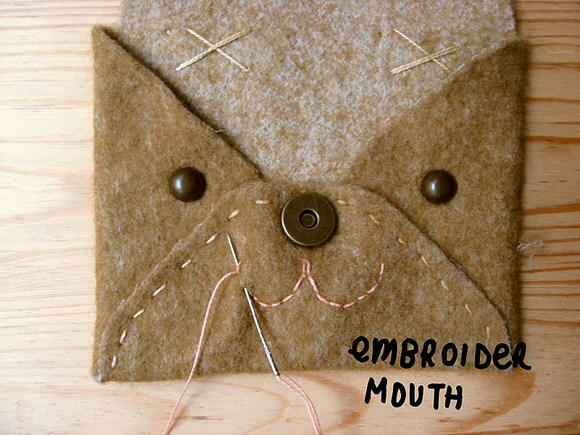 Embroider a smiling mouth bellow the magnet clasp as shown. These Kinda DIY “Sewing!” projects I absolutely ❤️ Super fun way 2spend some time with the kiddie winkles! 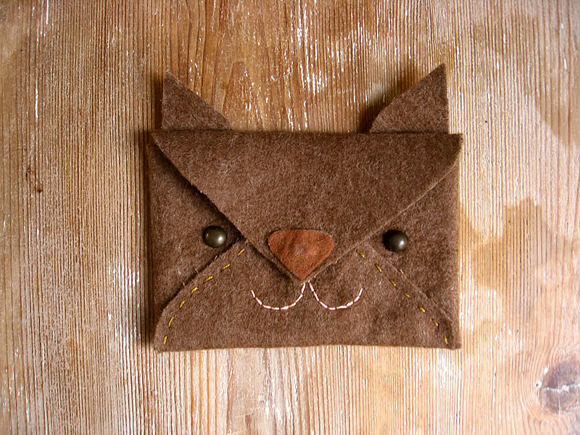 I’m almost positive my 10yo son will not only ❤️ Making these 2moro but will prob use it 4 his bus pass or even a coin pouch/ purse. 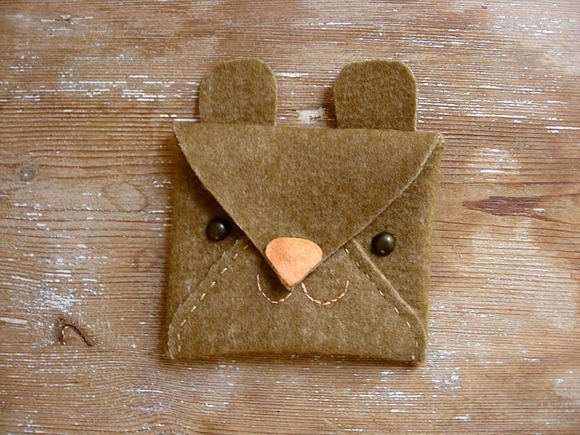 Hi, I love your “beary” cute pouch! I have featured it at my post here, http://alittletypical.wordpress.com/2014/01/28/collage-4-i-love-envelope/. Do drop by!